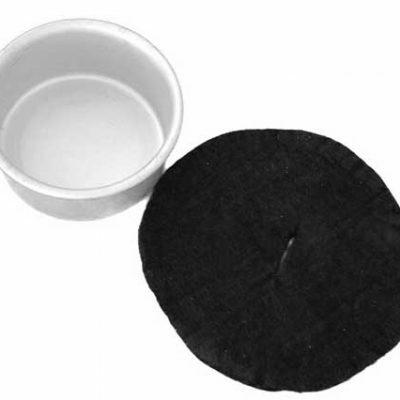 The ISO-Clean 2.5 is an isopropyl alcohol stove that is similar to the original ISO-Clean 1.1 stove but with integrated pot/mug stand. We designed the Multi-Fuel Stove to cleanly burn Isopropyl alcohol, the Multi-Fuel Stove also burns denatured alcohol (methanol, ethanol and blends of both) as well as gelled alcohol, Sterno and hand sanitizer. We have also burned solid fuels inside the stove. You can take this stove around the world and probably find a fuel that will burn in it. 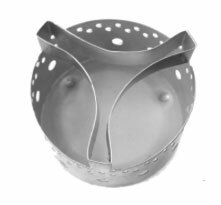 The Multi-Fuel 2.5 is an isopropyl alcohol stove that is similar to the original Multi-Fuel 1.1 stove but with integrated pot/mug stand. The stove will burn isopropyl alcohol without generating soot on your pot! It is designed to burn 91% isopropyl but can work with 70%. If you use 99% isopropyl or HEET in the red bottle, you must dilute the fuel with at least 10% water in order to avoid overheating. 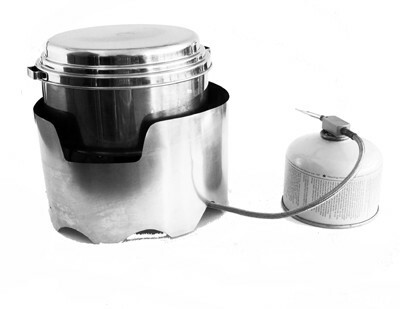 The ISO-Clean 2.5 stove has the capacity to boil 2-3 cups of cold water on a single fill. Boil time will vary with the type of fuel that you use and the pot diameter. Typical boil times range from 6 to 9 minutes. All alcohol stoves are sensitive to the wind and isopropyl alcohol stoves can generate soot if the flames are exposed to too much wind. We highly recommend that you use a heat reflector and windscreen with this stove. Using isopropyl alcohol, the Multi-Fuel stove have been tested to 5,000 feet: at 9,000 feet, the time to boil is quite a bit longer. With denatured alcohol, there are no changes in performance with altitude. Note: the Multi-Fuel 2.5 is compatible with both Bobcat and Snow Leopard, however; The Multi-Fuel 2.5 will not nest in the 1.3 liter pot due to the additional height. We recommend the Multi-Fuel 1.1 with Bobcat and Snow Leopard. With the Bobcat System, you can use 91% isopropyl alcohol. During the last 2-3ml of alcohol, the stove flames will turn from blue to yellow so remove your pot as soon as it boils and you will not generate soot on your pot.